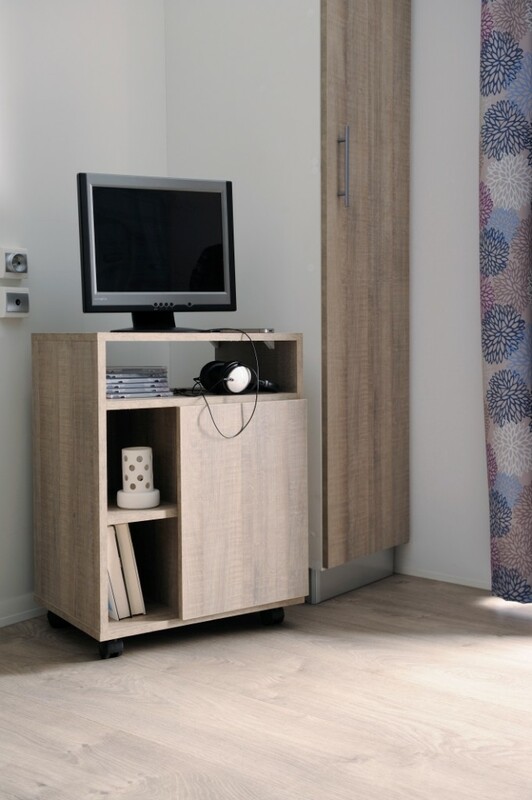 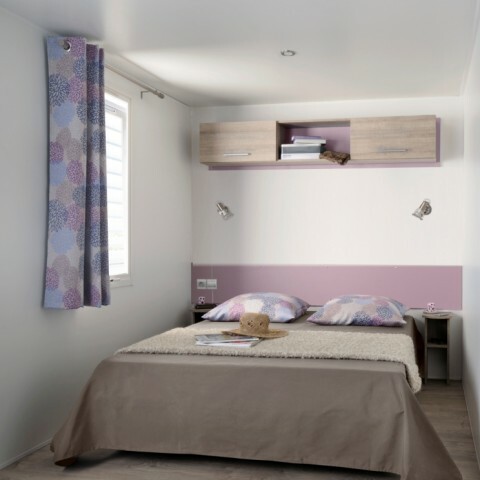 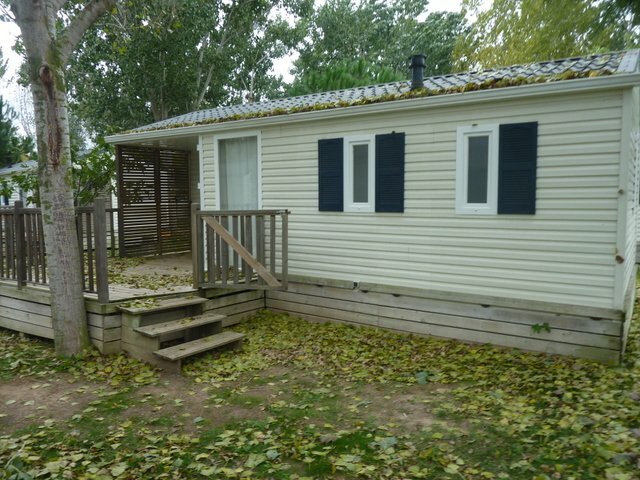 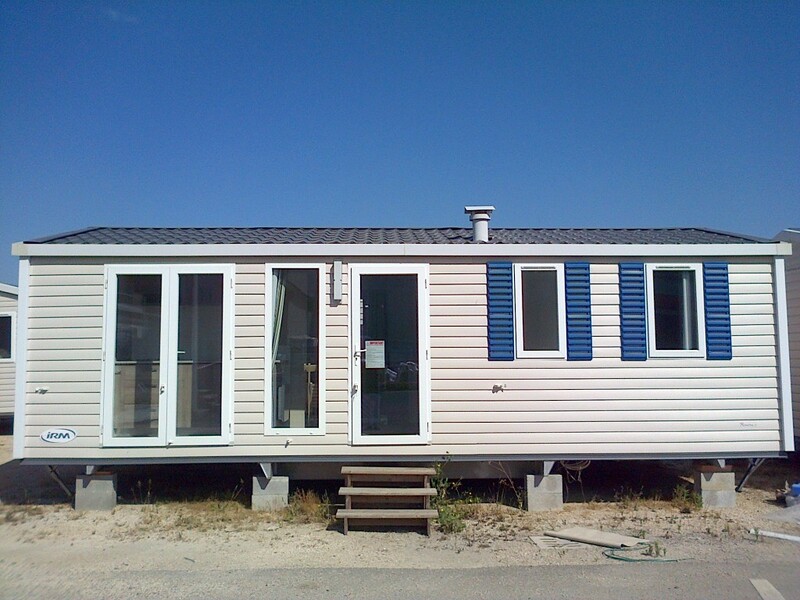 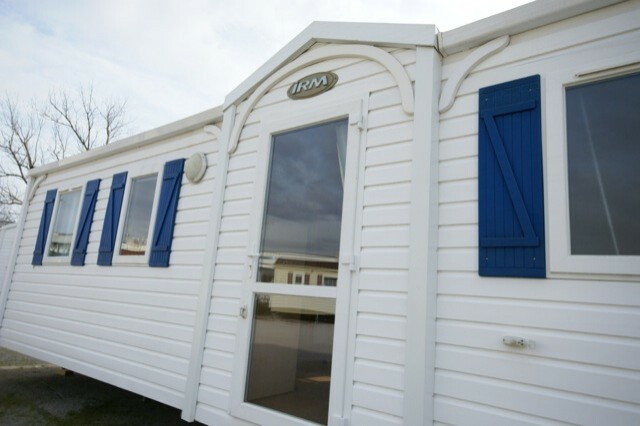 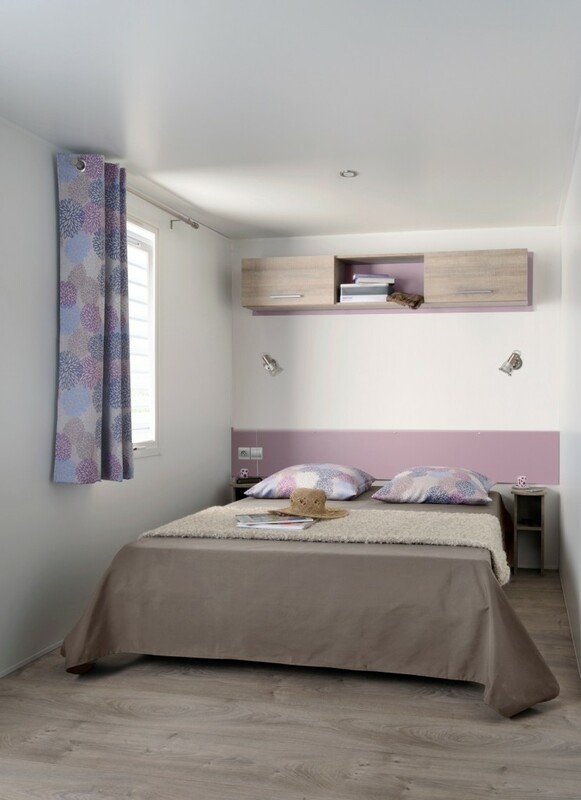 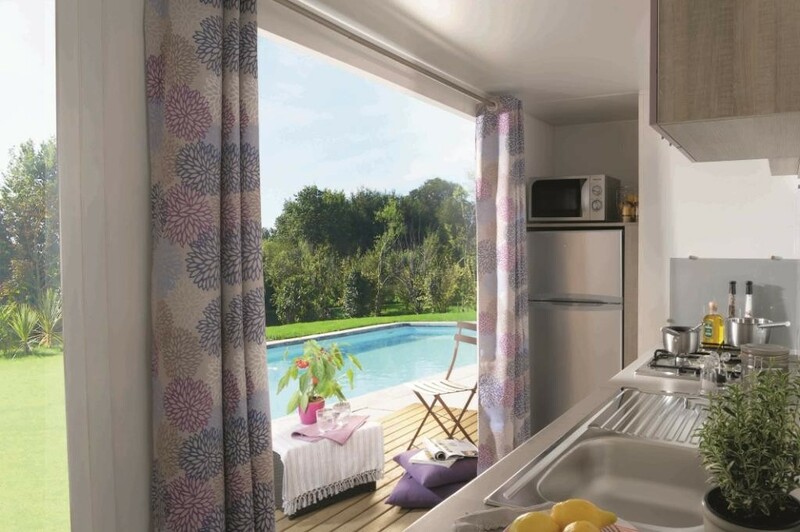 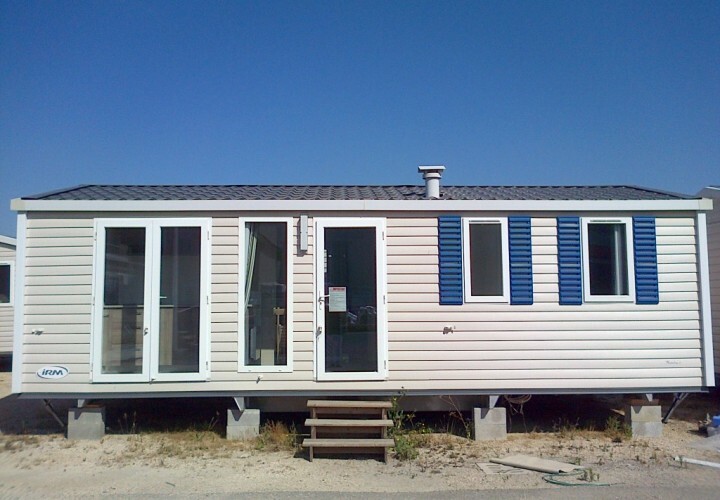 Mobile home IRM 3 FRENCH RIVIERA 8,64×4,00 mq – Bologna. 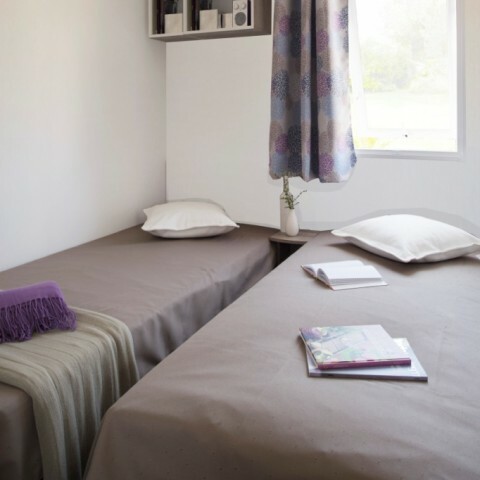 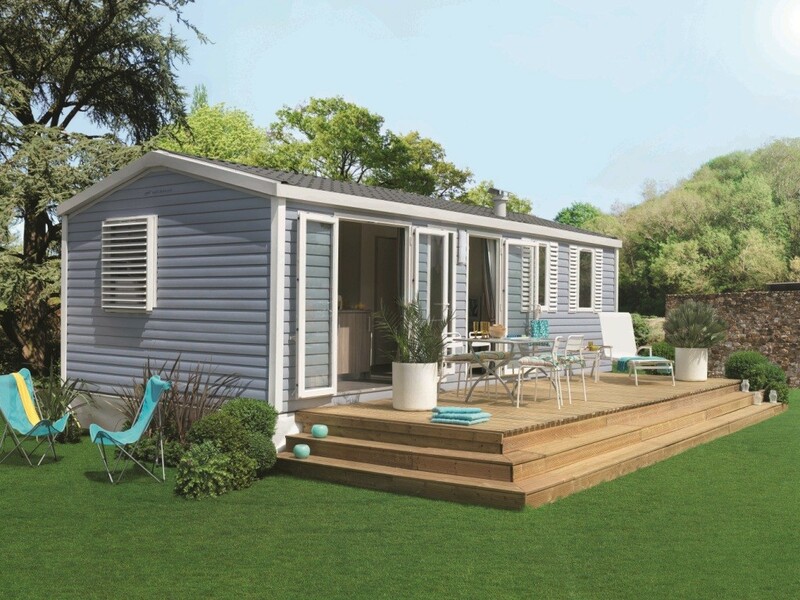 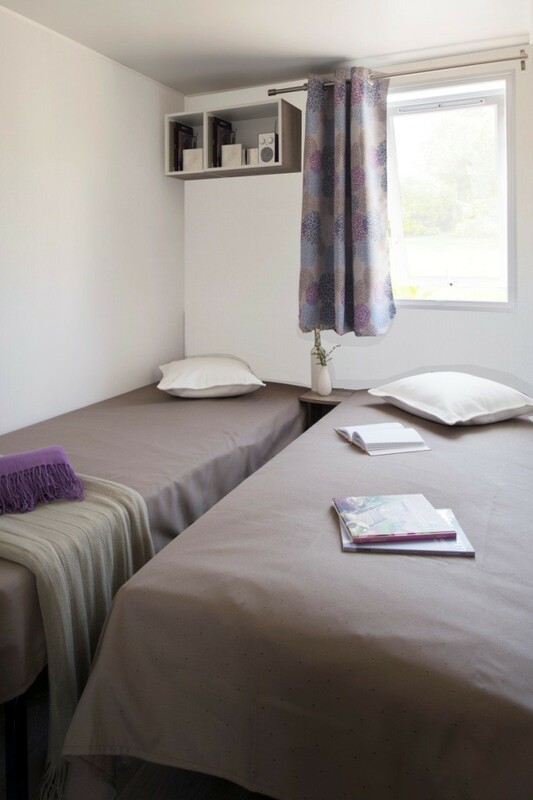 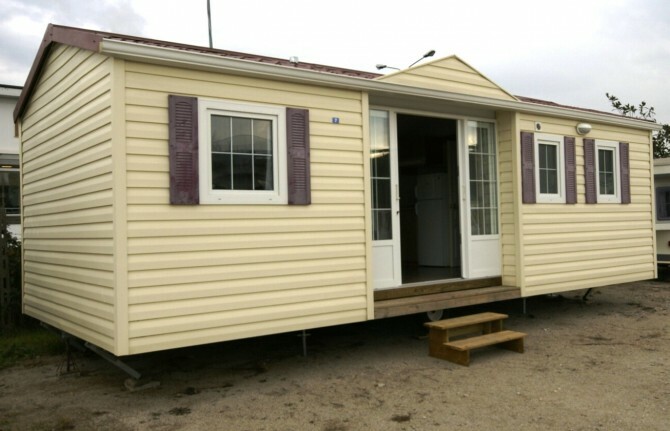 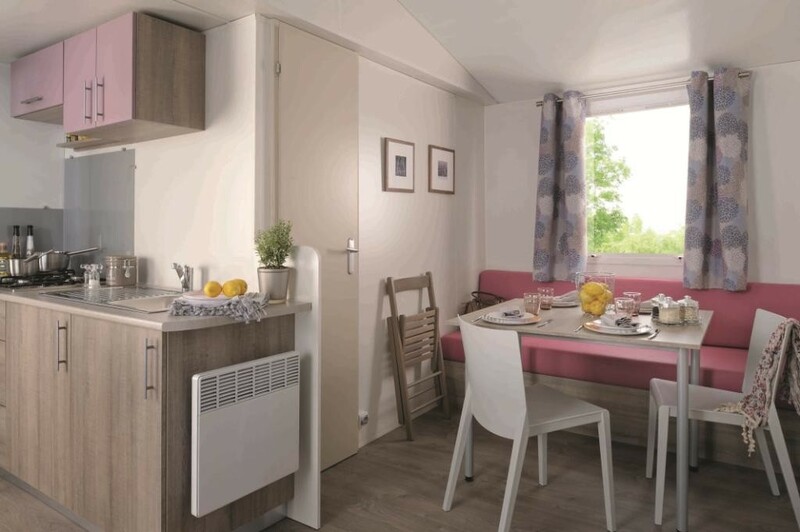 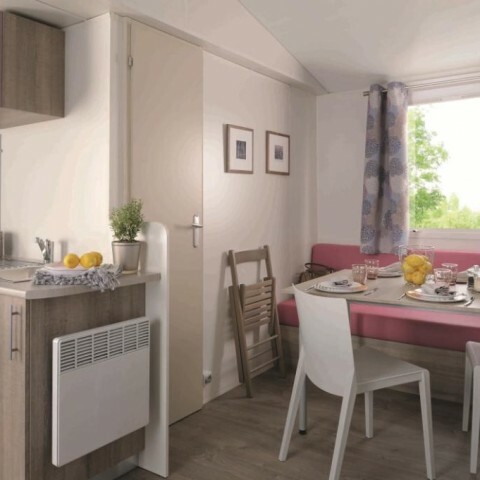 New mobile home consists of: 2 bedrooms, 1 bathroom with shower and washbasin + 1 separate toilet. 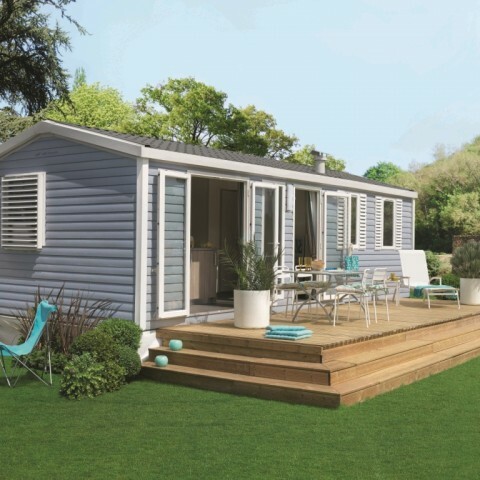 Colour: outer covering (bardage) flax + + black roof doors and headboards “Lavender” + dark blue shutters + light green sofa “foam” + striped curtains in blue.